Have we reached the age of “VR everywhere”? Virtual reality (VR) has been much hyped for decades, however the infiltration of VR into people’s homes and offices has been a slow burn. Analyst firm, Telsyte predicts that VR penetration will reach 25.5 percent of households by 2021. What’s been preventing widespread adoption has been the inability to create realism to the extent that the brain can stop nagging the user that they’re not in a real environment and just adapt, and learn whatever’s being presented. A side effect of this slower than expected uptake of VR is that virtual reality application developers have been slow to invest in creating content. In this sort of chicken-and-egg cycle, growth tends to be slow, not explosive. However, increasingly we are seeing more VR offerings with better resolution, lower latency, and better and more intuitive sensors – that is, the kind that might be useful for visualising large sets of security threat data and discerning significant trends. Hence, the slower-than-expected adoption of VR might be about to speed up, helping us to do everything from training to security, to the next killer app we haven’t even imagined yet. There are a number of functionality challenges creating barriers to the mass uptake of VR, besides the relatively high cost of devices currently on the market. One of the biggest challenges is display issues. Even high-definition displays don’t convincingly imitate a real environment. This is because when users “pass by” an object, their peripheral vision doesn’t detect the other side of the image being displayed on the other side of the object. This is a hint to their brain that what they are experiencing in VR is not the real world. Another obstacle is latency. For a user to progress rapidly through an environment, the rendering process has to have very low latency to appear real. Yet, due to the strong strides this past year in AI cores that “know” or can infer more about a user’s changing environment, the overall VR experience can seem far more real. If you’ve ever watched Black Mirror, this will remind you of the ‘Playtest’ episode where the main character goes through an augmented reality experience that aims to scare participants by reacting to their brain cues on what they are most afraid of. No doubt commoditisation of an integrated AI/VR technology will make an improved experience, like the one portrayed in Black Mirror, increasingly affordable. AI has already come a long way in recent years, especially in regards to integrating it into other environments through hooking APIs and such. 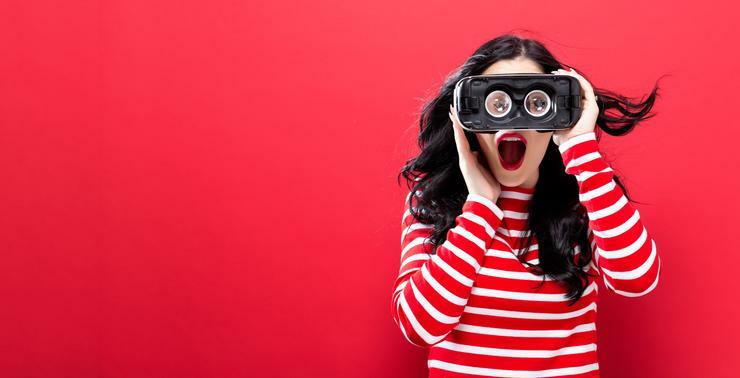 While consumer adoption of VR is rising, the use of VR technologies in the enterprise is also growing, with VR currently being used by marketing and sales teams for product demonstrations and showcases, as well as by HR for onboarding and training. For instance, AGL was one of the first companies to introduce VR as part of its training processes due to the ability of VR to provide a more immersive experience compared to slide decks and online courses. VR adoption within the enterprise will likely rapidly grow on the back of the recent launch of Oculus’s new $900 VR business package, which was designed for companies that want to explore the use of VR to create new workflows. Car manufacturer Audi is an early adopter of Oculus VR headsets, using VR in its dealer showrooms to enable customers to customise their car before purchasing. 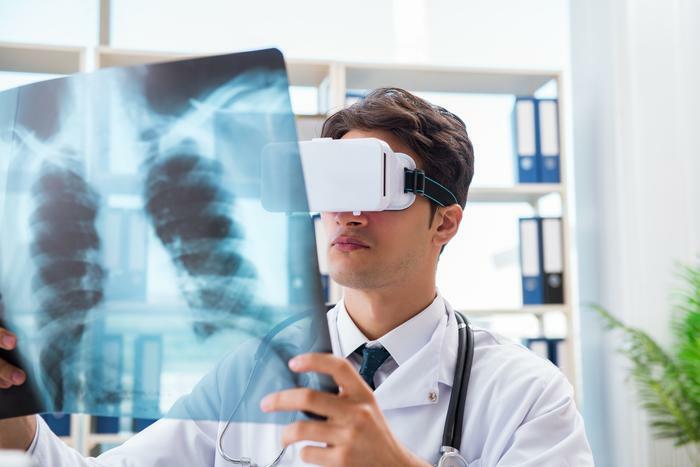 While early adopters of VR are using it as a short distraction from reality, there are many other practical opportunities for VR, with potential use cases across the fields of science, education, retail, health, defence and law enforcement. For instance, it was recently announced that the Queensland police force will begin using VR to train agents in counterterrorism. From a cybersecurity standpoint, there are also vast opportunities to use VR and AI to help process massive amounts of threat data, better visualise threats and infer data trends. At the same time, like any other technology, VR has the potential to be hacked and used for nefarious reasons. 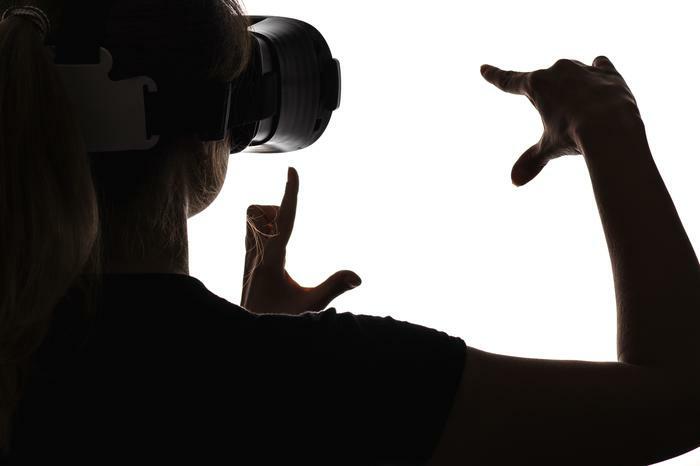 In fact, it’s been predicted that attacks in virtual reality or augmented reality could soon be tailored to cause psychological harm to individuals. Meanwhile, as AI and the latest VR simulation technologies can be used to train pilots, defence force personnel and law enforcement officers, amongst other professionals - soon cybersecurity teams will be employing such tools to detect, respond to, and mitigate digital attacks. In fact, in mid-2014, Pentagon officials created a virtual reality battlefield, using the Oculus Rift motion-sensing 3D VR headset. It was able to turn cyberattacks into 3D visions where defenders could “look around” using the gadget’s built in accelerometers. While we haven’t yet witnessed mass market penetration of VR, advances in the technology, such as AI integration bring it closer to ubiquity. Moreover, the growing adoption rates and use cases within the enterprise, cybersecurity and professional services markets will see VR move away from its perception as a novelty and nearer to being viewed as a necessary business tool.